TSMC's FY18 net profit was NTD351.33bn with EPS of NTD13.54, setting new record highs. TSMC (2330-TW), a wafer foundry leader, held a conference call and announced its 4Q18 earnings report today on January 17th. Its 4Q18 net profit was NTD99.984bn (+12.3% QoQ, +0.7% YoY), second highest in its history, with EPS of NTD3.86. Its FY18 net profit was NTD351.33bn (+2.3% YoY) with EPS of NTD13.54, setting new record highs. Based on TSMC's FY18 net profit of NTD351.33bn, TSMC earned NTD962mn per day last year. Its profit is much better than many small and medium-sized listed companies. TSMC's 4Q18 revenue was NTD289.77bn (+11.3% QoQ, +4.4% YoY). Its GM was 47.7% (+0.3% QoQ, -2.3% YoY). Its operating margin was 37% (+ 0.4% QoQ, -2.2% YoY). Its 4Q18 net profit was NTD99.984bn (+12.3% QoQ, +0.7% YoY), second highest in its history, with EPS of NTD3.86, hit a new record high. Denominated in USD, TSMC's 4Q18 revenue was US$9.4bn (+10.7% QoQ, +2% YoY), meeting expectations. Regarding application departments, as Apple’s iPhone entered its peak season in 4Q18, TSMC’s communication revenue increased by 27%, performing the best. And, its proportion of 7nm revenues rose. Other departments’ revenues, including computers, consumer electronics and industrial use, declined by 2%, 35% and 3% QoQ respectively. TSMC's FY18 revenue was NTD1.03tn (+5.5% YoY), setting a new record high. Denominated in USD, TSMC's FY18 revenue was US$34.196bn, with a GM of 48.3% (-2.3% YoY). Its operating margin decreased by 2.3% and reached 37.2%. Its FY18 net profit was NTD351.33bn (+2.3% YoY) with EPS of NTD13.54, setting new record highs. 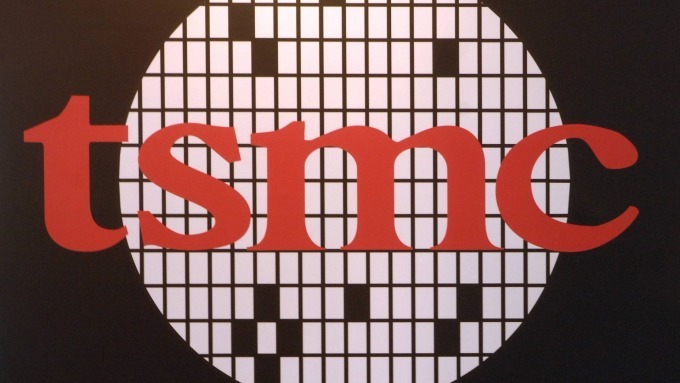 Regarding TSMC's 4Q18 revenue proportion, 7nm products was account for 23% of total wafer sales, 10nm account for 6%, and 16/20nm account for 21%. Overall, advanced processes (including 28nm and more advanced processes) related revenue was account for 67% in 4Q18 total sales.